Beautiful 4 Bedroom, 3.5 Bath + Office Pool Home in Winter Park! Highly Desirable Location in Virginia Heights with neighborhood access to Lake Virginia. Brand New Roof was just installed in July 2018, this home is a must see! 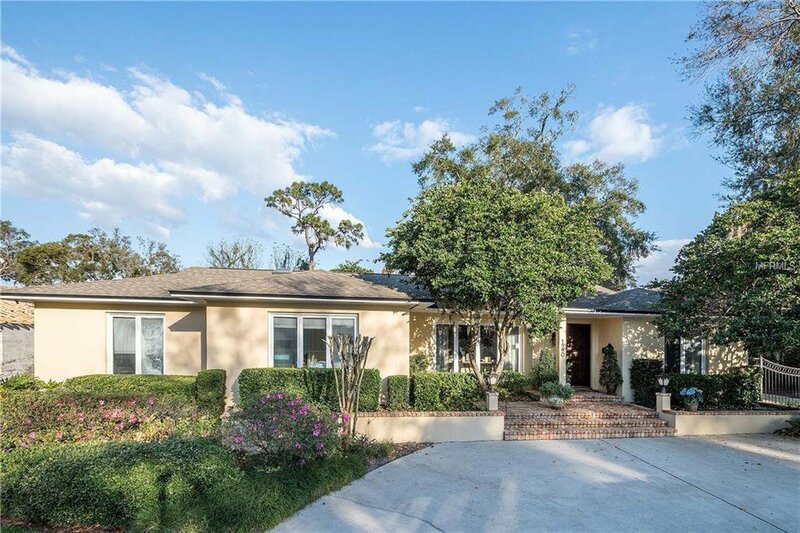 Price to sell this ½ acre lot sits high in one of Winter Park’s best neighborhoods and is ideal for future building or is perfect for the buyer looking to do a little renovation and add their own personal touches to a home. Interior layout is open and spacious. Charming character greets you as you walk in the front door; hardwood floors, crown moldings, plantation shutters, fireplace and more. Formal living and family room off the kitchen. Front office has a half bath and could be used as an optional 5th bedroom. Master suite has an extended foyer-like entrance with a set of French doors that opens to the lanai. Hands down the best part of this home is the amazing backyard. Covered patio, outdoor kitchen with grill all overlooking the pool and oversized fenced backyard. Located on a half-acre of land the backyard is beautifully complimented by tropical landscaping and mature oak and pine trees. Located just a short walk to Rollins College and Park Avenue you’re just minutes from fine restaurants and boutique shops as well as zoned for the brand new Audubon K-8 school. Listing courtesy of KELLY PRICE & COMPANY LLC. Selling Office: FLORIDA ONE REAL ESTATE LLC.